We have this plant for almost five years now, but the global climate change must have worked on it since it only started having flowers, well, even with only less than a dozen of them these past few months. I was ecstatic. 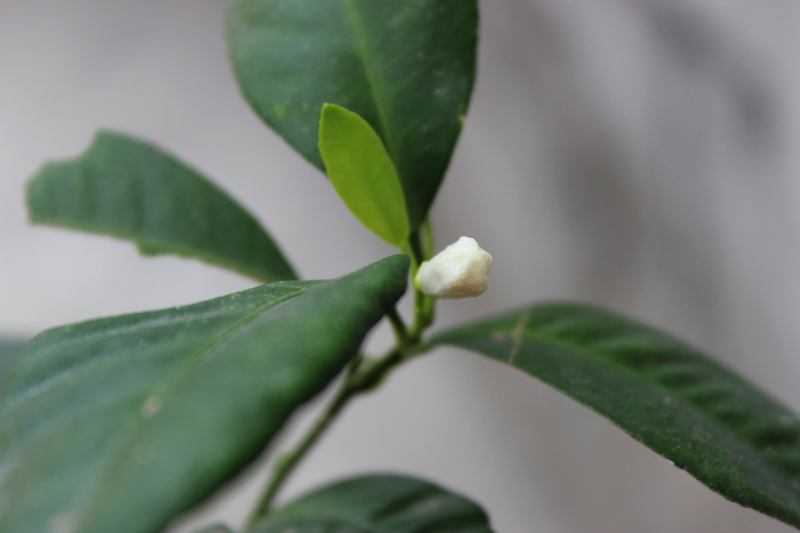 So, I grabbed my cam to shoot the flower bud; and how it looks like in full bloom. I thought that it would be a good idea to show you what happens after the blooming stage. 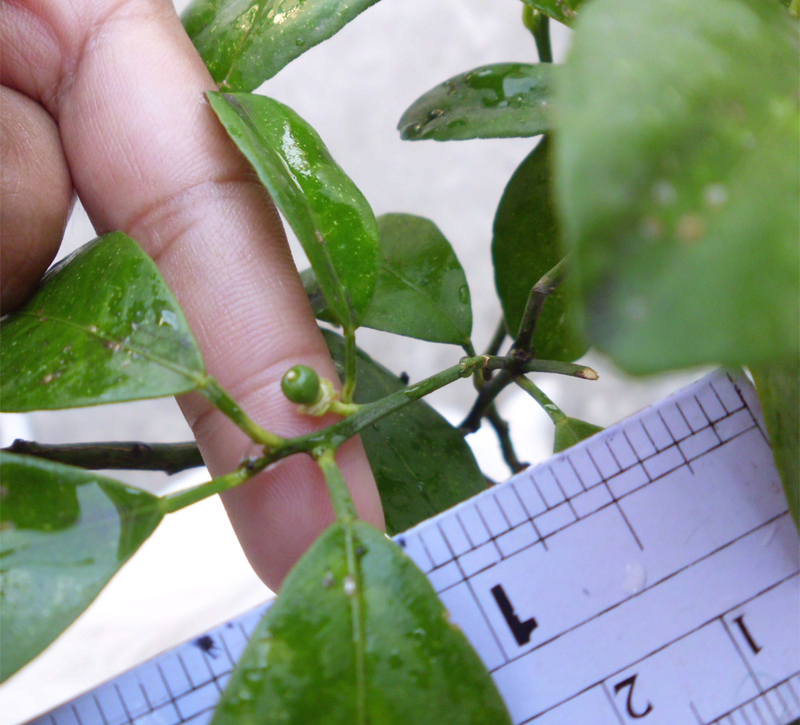 Luckily, I found this one for you to see how cute and how big [small rather] baby calamansi is. I took the photo just this morning, Dec 8. It’s December. It is suppose to be cold in Manila but we do not feel it. It actually seems to be like summertime still [March to May]. An important feast to celebrate here is nearing: Christmas. Sadly, typhoon Pablo which battered Southern Philippines last week caused landslides attributed to illegal cutting of forest trees. Today, nearly 500 people had been confirmed dead. All coconut trees, banana plantations, and all crops gone. Many are still missing and thousands homeless. The landscape changed into images of swept towns and villages. Mindanao Region has never been as badly devastated as these recent years. I love calamansi, when I make pansit here in the US, I serve it with lemon, but I do wish my family can taste pansit with real fresh calamansi. 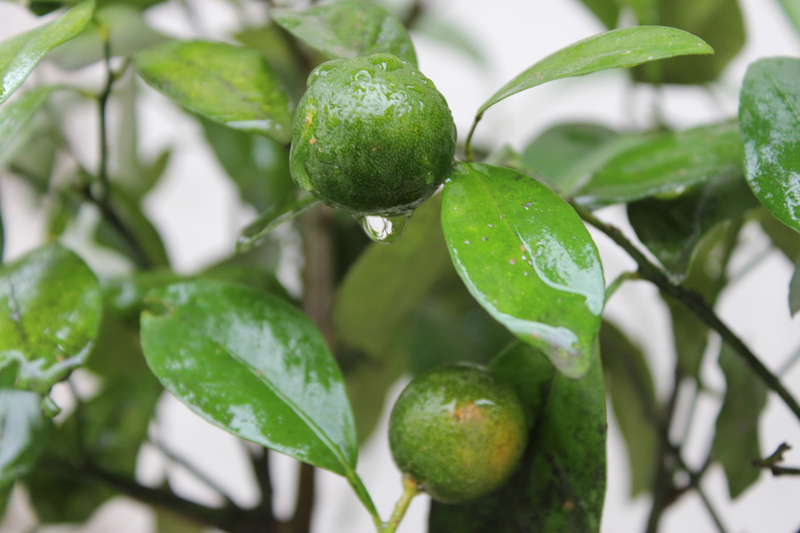 Thinking about calamansi makes my mouth water! On a sadder note, I hope you and your family are all OK after the recent typhoon(s). We are all fine here in Manila, Lola Jane! Thanks for the concern. 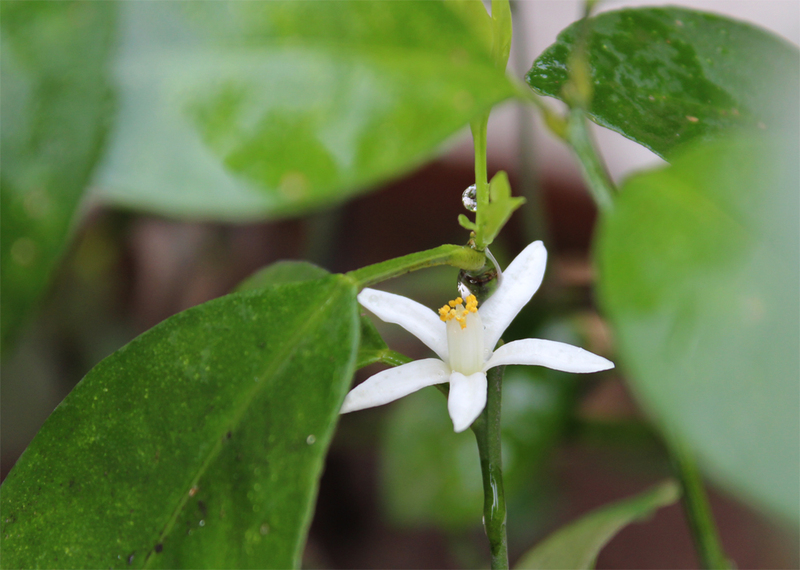 Am very glad you visited my blogsite because of…calamansi…surely, your pansit over there would taste better with it. Wish you good health! Maligayang Pasko ho sa inyong lahat! Enjoy the activity like I did. Thanks Dan for dropping by!